Wow! It will be fabulous! Oh, I hope so! Thanks for your endorsement! How did I know you would be “YES” on the coat!!?? Well, I hadn’t thought of brown for the coat, but that would be really pretty with that lining, wouldn’t it? Winter white had come to mind, but the wheels are still turning here. Thanks, Mel! 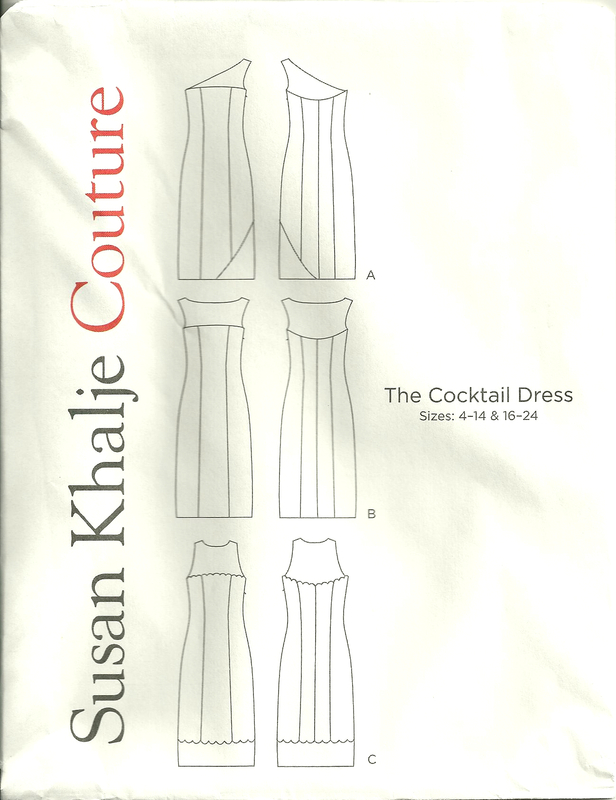 I do love a Vogue Couturier design – and it seems I always learn some new construction technique from them. A dress and a coat would be lovely. But what colour should the coat be? Hmmm..
Ah, that is the question, isn’t it? The possibilities could be endless! I personally would purchase more of the same fabric for the coat – would dress up other simpler garments as well as making an amazing outfit. I totally agree about the MOB look if this pattern were done in a plain silk – well said!! So glad you think this fabric will be so much better. And, with the comments so far all in favor of a coat, I think that’s where I am headed! Thanks so much for commenting! Lovely pattern. Yes make the coat too! And I would take the purpley-pink colour and find a nice silk dupion, or maybe a shot silk with blue and one of the other shades in it. Whatever you decide you know you will be searching for it for quite some time! Good luck. Great thoughts on coat color! I think you are right – I can see myself searching for this fabric for a long time – or maybe, I’ll get lucky! I have the same thoughts: purple pink. But a more neutral colour with matching lining could work really well too. Fabulous fabric and gorgeous design. How utterly lovely! Await the result with much anticipation (no pressure!) 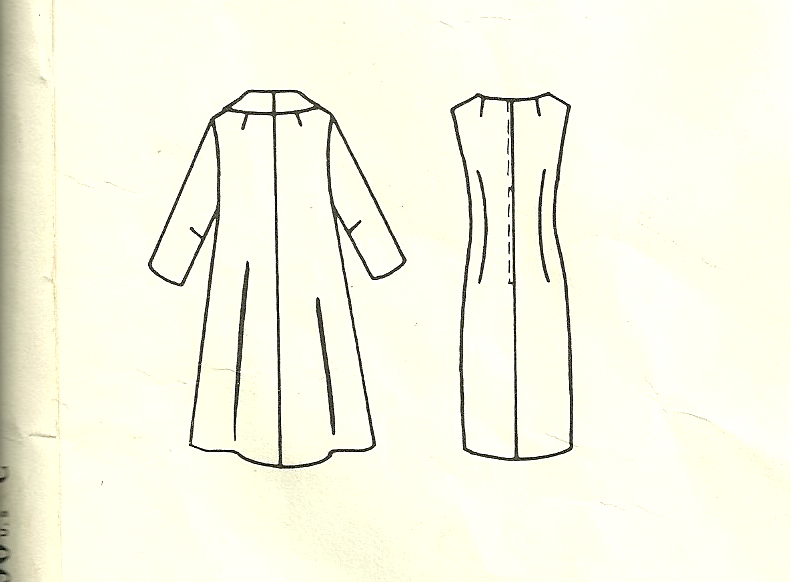 Absolutely make the coat, you will regret it at a later date if you don’t! I too think brown would be a great colour choice, making sure it is the right brown for you. I look good in reddish browns, terrible in yellow browns. My mind is whirling around those fabulous women in the 1950’s/ 60’s Ingrid Bergman in An Affair to remember and the woman who played Cary Grant’s mother in north by North west. You continue to inspire! Thank you so much for your wonderful input. 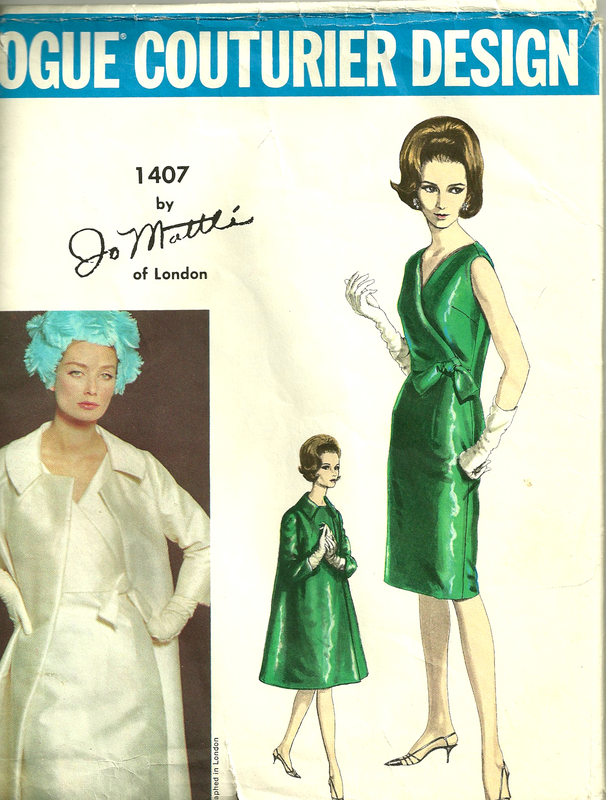 Yes, you are correct – I would regret it if I don’t make a coat! 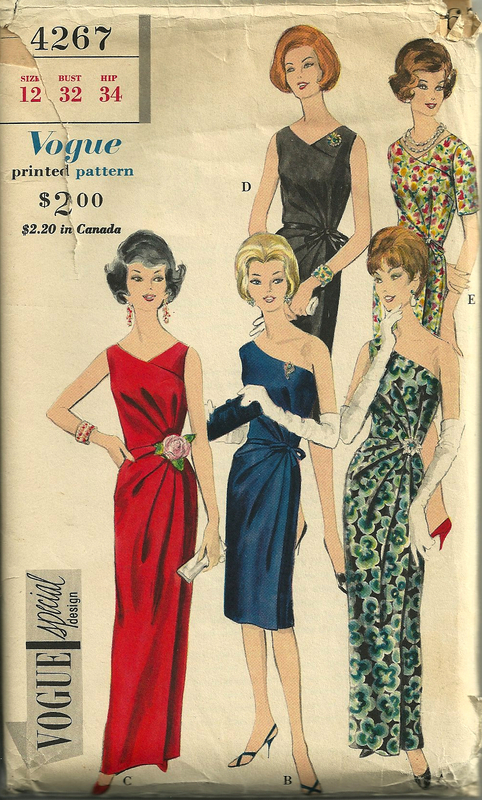 There is nothing quite like the fashions from the mid-’50s through the mid-’60s – and the elegant women who wore them. Sigh… Thanks so very much for your comment. Lovely fabric find, worth the searching. Thank you, Jay! So good to hear from you! The lining fabric has been ordered! Thanks, Cissie! I’ve had good luck with Emma One Sock as well, and Linda is very helpful with advice when you need it. Looks like it’s going to be a beautiful “make”! It will be beautiful, Karen! What gorgeous vintage patterns you have! I agree with the above comments that the coat would be lovely if you would wear it .